Replicon is a leading enterprise software package that allows large organizations to accurately track their employees’ productivity and efficiency. With multiple products that cater to specific problems, it offers business owners and managers a suite of features that can help them manage their employees better. But while Replicon offers advanced and powerful software, the need to purchase multiple application packages (and the high cost per user) has led businesses to look for Replicon alternatives that offer the same level of information and reporting, but with a lower cost and in a more attractive package. Replicon’s time tracking software is perfect for those who feel that they are losing track of all of the moving parts of their organization, and who want to gain a greater understanding of how things work (without having to dedicate large amounts of their time to understanding the fine details). With Replicon TimeAttend, business owners can manage all of their employees’ timesheets, process payroll quickly and efficiently, and automate overtime policies. Replicon TimeAttend also gives managers and employers the ability to delegate decision-making to up to 5 levels of staff, so that overtime and timesheet requests can be processed and approved by different levels of manager, rather than coming straight to top executives. Replicon also offers TimeBill, which allows you to accurately track individual employee productivity, performance, and activity, both for individual projects and for their overall workload. TimeBill allows you to segment your employees into teams, allocate projects, track time spent, and set budget limitations. The software also allows you to set individual billing rates for each of your employees so that your projects are accurately costed. 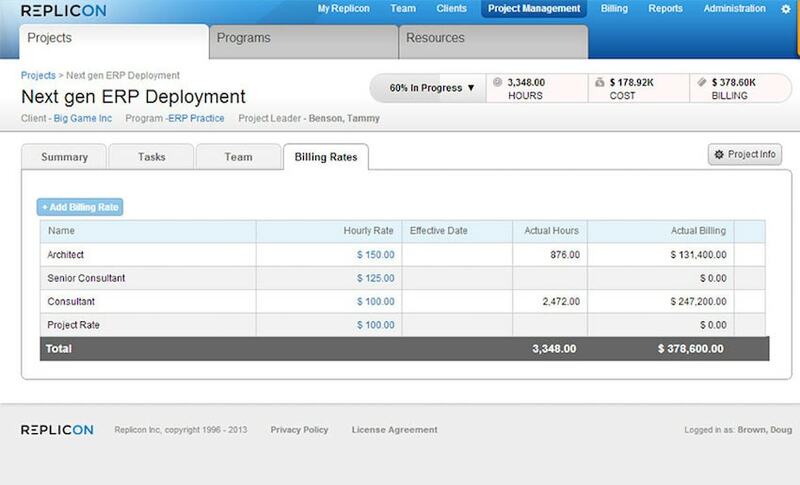 While Replicon offers some really advanced software products that are perfect for enterprise customers looking to gain a better overview of their organizations, the need for multiple systems and the high cost per user (TimeBill and TimeAttend cost $31/user/month combined) may be off-putting to some. Thankfully there are fantastic affordable Replicon alternatives that offer the same level of insight and flexibility. Hubstaff was primarily created to help distributed and virtual teams track the performance and productivity of their workers around the world, but the software provides an excellent solution for those looking to gain a greater understanding of how their organization (and employees) works on a daily basis. 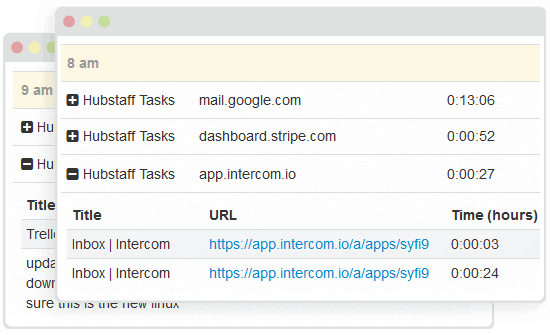 Used by more than 8,000 teams around the world, Hubstaff allows project managers and business owners the ability to track individual employee activity levels (through mouse and keyboard monitoring), the ability to monitor what apps and websites are used and visited during the workday, and the ability to compare individual employee performance with their colleagues. It also offers in-depth time tracking features that allow you to monitor exactly how long your employees spend working on projects, as well as set budget and time limitations. This feature is supported by a visual dashboard that makes it easy to see productivity, activity, and time spent, at a glance – which means that you can quickly get a handle on a project’s status without having to invest time to understand the finer details. Like Replicon, Hubstaff also offers payroll features that allow you to automate the process and pay employees based on their hourly rate and the amount of recorded work they have completed. Hubstaff integrates with both Paypal and Payoneer, to make the payroll process simple and effective. 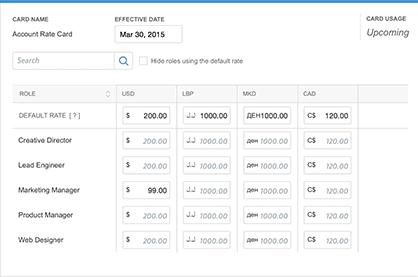 Pricing for Hubstaff is a flat $5 or $10 per user, depending on the functionality you would like to use with your team. 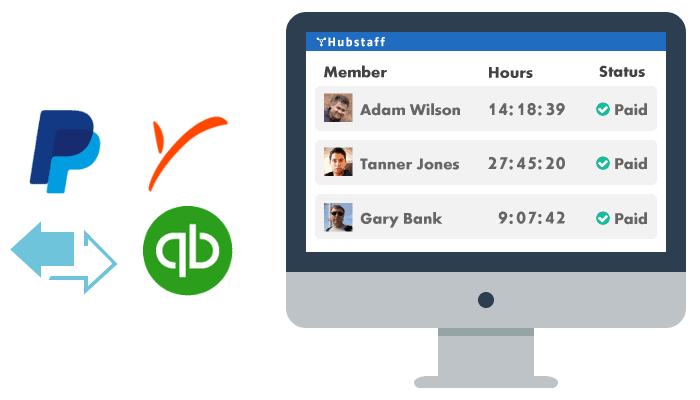 To start using Hubstaff to track your employee’s productivity and efficiency, check out our 14-day free trial. 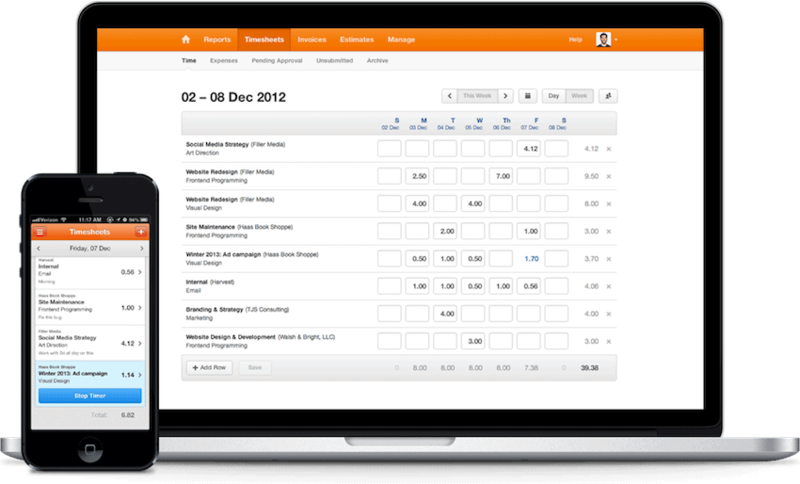 Like Hubstaff, Harvest offers powerful time tracking and employee management features in an attractive and easy-to-use package. Used by more than 40,000 business around the world (including Amazon and Dreamworks), Harvest offers multiple applications that work on smartphones, Apple Watches, and computers, so that your employees are able to use the software across all of their devices. Harvest uses dynamic data and reporting to track project progress each day, and is able to tell you exactly when projects will hit budget limits so that you can effectively and efficiently manage staff and resources. These powerful reports allow you to properly prepare for future projects meaning that any estimates you make are backed by reliable and informed data. Harvest also offers features for expense tracking, so you can manage and track employee expenditure at a glance, and automatic invoice creation (with Stripe and Paypal integration so that you can easily accept payment). Like Replicon, Harvest has features that allow for timesheet approval, so contractors and freelancers can always have their time requests managed by the right people. 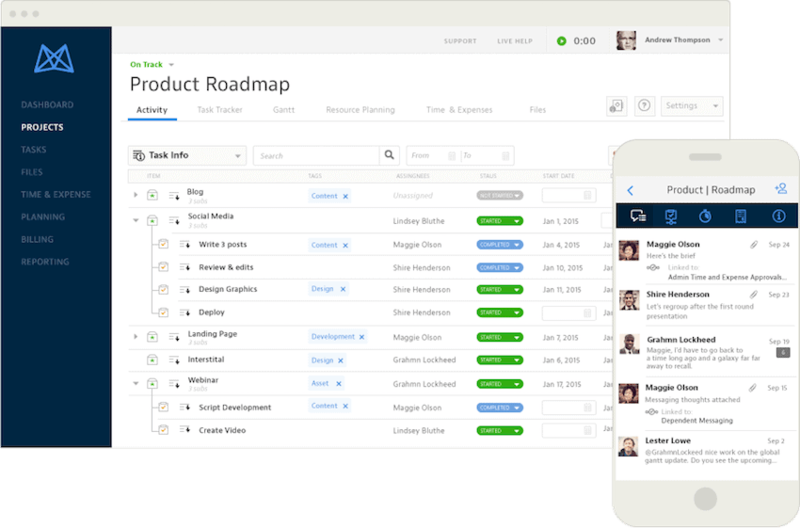 Harvest integrates with leading applications and services, like Github, Basecamp, Asana, and Zendesk, so that your organization doesn’t have to adapt its workflow or processes. Pricing for Harvest ranges from free to $99/month for 10 users (plus $10 per extra user). Flapps is a time tracking application aimed at helping medium-large companies increase efficiency. It has been designed to incorporate enterprise-level features (that are fully compliant with legal requirements) in an easy-to-use package that is both simple to navigate, and visually appealing. 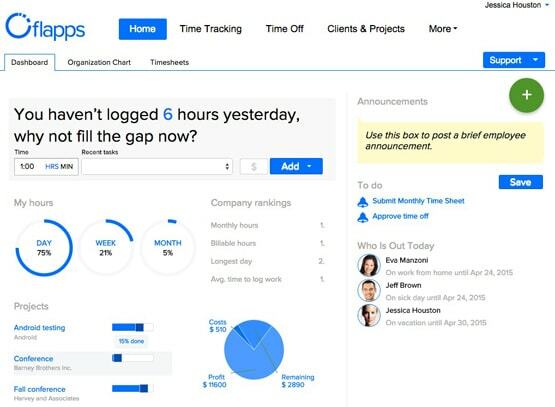 Flapps allows you to record billable hours, employee absences, and project expenses in an online tool while at the same time offering the capability to create in-depth reports and analyze employee data. 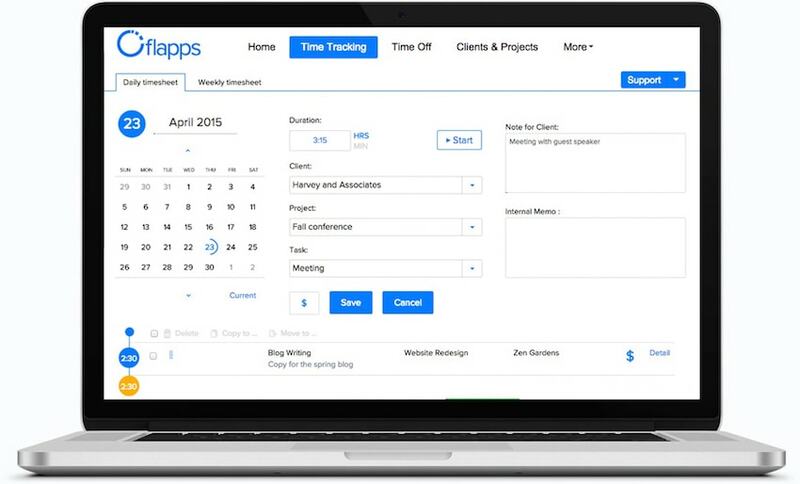 Using tracked time and hourly rates, Flapps creates client-ready invoices and project and payroll reports, so that you can dedicate more of your time to running your organization and projects. While Flapps provides an easy-to-use interface and readily accessible data, it lacks some of the more powerful features supported by other time tracking software; these being screen capturing, activity monitoring, and automated payroll processing. Pricing for Flapps ranges from $1.95 to $12.95 per user per month. Combining advanced project management features with in-depth time tracking, reporting, and monitoring capabilities, Mavenlink is a software package that can dramatically improve corporate efficiency for both managerial and general staff. 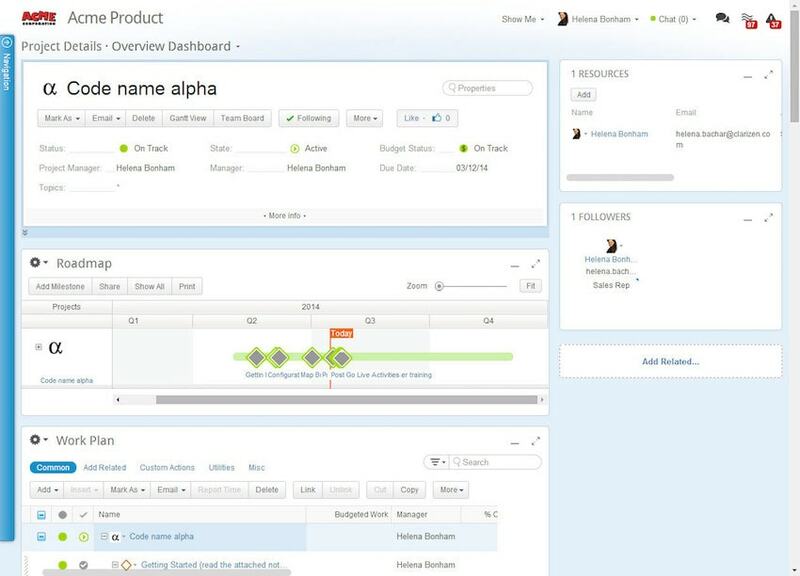 Mavenlink’s project management suite of features allows you to map out project roadmaps, adjust timelines (and view historic versions of timelines), and set budgets and time maximums. This is supported by accounting features that allow you to manage expenses, track timesheets, and create attractive and professional invoices. Mavenlink also allows you to manage budgets and overall project spends in real-time so that you can gain complete control over your organization’s workload. Supporting these project management features is a powerful time tracking functionality that gives you real insight into your employees’ performance and activity. Mavenlink allows you to assign individual employees to specific tasks and then track their progress and efficiency over time. The software helps improve team collaboration and communication by including project activity feeds that allow your workers to message and communicate about the work they are doing. While Mavenlink does offer a wide range of features that bridge the gap between project management and time tracking, the majority are subject to a tiered pricing system, and a bespoke plan is required to access the full set of features. However, many key features (from time tracking, to project management) are available on the $29/user/month plan. 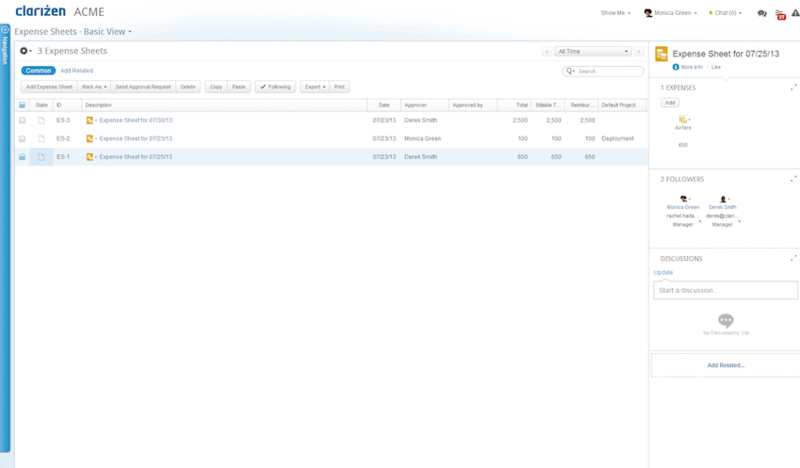 Designed for enterprise and business users, Clarizen provides advanced time tracking features that let organizations like Cisco and Deloitte track efficiency and productivity across all of their departments. Clarizen supports mobile devices and has desktops and web access, so your employees can track their time on any and every device. 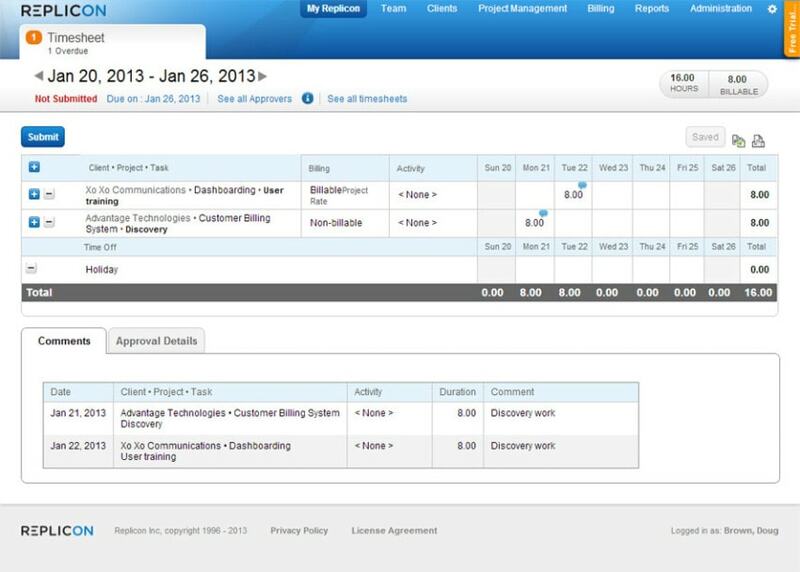 Alongside these time tracking features, Clarizen also offers a comprehensive and centralized project management suite. This comes with fully customizable dashboards, workflows, and reports so that you can completely tailor the software to your individual business’ needs. There is also no need to change your current systems or processes, as Clarizen integrates with cloud storage providers like Box and Google Docs, along with other apps like Salesforce, ProofHQ, QuickBooks, and more. Have you found your Replicon alternative? Using enterprise-specific project management and time tracking tools can have huge benefits for your business. Gaining a greater understanding of how your employees work each day (from their activity levels to what apps they use) means that you are able to streamline your organization’s processes to suit your staff. Beyond that, the ability to collect comprehensive and accurate data about your team will help you gain a complete understanding of every element of your business, which you can then use to guide your company forward. We hope you have been able to find a Replicon alternative that fits your team. If you’re still looking, you might want to check out our master post of time tracking software reviews. Have we missed any great Replicon alternative? Let us know in the comments.